If you are looking for an adventure that offers more adrenaline than what your typical go-carts or putt-putt can offer we’ve got you covered. 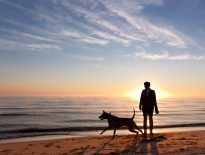 Here are 6 activities that will get you active and your adrenaline going in the Virginia Beach area. 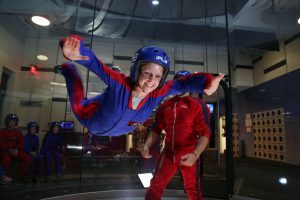 Newer to the area, we have indoor skydiving at iFly. iFly is a 14’ temperature controlled indoor skydiving venue located on Pacific Ave. in Virginia Beach. Once you check-in you will have a small training session where you learn the proper body position for flying and hand signals the instructor will use while you are flying. After that you gear up and are ready to go! Each flight last 60 seconds. Even if you have little ones who are brave and want to go it is totally safe for anyone ages 3 and up! Spend the day zipping from tree to tree at The Adventure Park at Virginia Aquarium! The Adventure Park is the largest forest climbing park in the nation with 15 trails, 21 zip lines, 6 difficulty levels and 200 challenge bridges. You will be able to choose a 2 or 3 hour forest adventure. This does not include the safety orientation that you must take before climbing. With 15 different trails to choose from, beginner to advance, The Adventure Park is a great way to spend a day of active fun with your friends and/or family. Stand up paddleboarding, also known as SUP, is a bit more relaxing but still a lot of fun and gives you a full body workout. Riders balance themselves standing on the board and use a paddle to navigate through water. While staying in Sandbridge you have access to all the canals and Back Bay Wildlife Refuge to paddle through. If you are looking for more of a rush you can head over to the beach and catch some waves. Never paddle boarded before but interested in learning? Check out Surf and Adventure! They offer group or private lessons and well as SUP tours. Spend the day soaking in the sun while experiencing nature at it most pristine. With over 121 navigable miles of waterways Virginia Beach is a perfect place to go kayaking. If you have your own kayak there are a few different launch sites at Back Bay Wildlife refuge. If you are traveling you can rent or go on a kayak tour at Surf and Adventure. They offer 6 different tours from a eco tour to a kayak fishing tour. You can get such an adrenaline rush from offshore fishing especially if you catch a blue marlin or a yellowfin tuna. Most trips last from 12 to 17 hours and need to be reserved in advance. The day starts before the sun comes up. You will head out to wrecks, offshore towers, and underwater canyons 75 miles from shore. Once you get where you are going you will drop your line and hopefully be reeling in a 300-pound tuna. You can book offshore fishing charters with Rudee Tours. They even offer 3 hourly nightly fishing tour, from 6 pm to 9pm, that is perfect for kids. 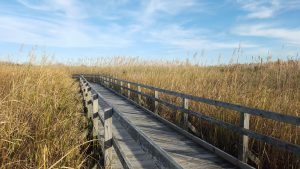 Back Bay Wildlife Refuge and False Cape State Park is such a beautiful place to go hiking or biking. These are two different locations and offer different sights but you can only access False Cape through Back Bay Wildlife Refuge. Back Bay has 8 miles of scenic trails to explore. They offer tours and educational programs. You will have amazing views of the bay and may see some wildlife such as birds and deer along the trails. False Cape has 6 miles of beaches, 12 campsites, and 9 miles of hiking/biking. They also offer tours and educational programs. If you plan on visiting for just the day you will be able to take a tram from Back Bay. You will have 2 hours to explore the area. While you are there be sure to check out Wash Woods area. There is an old church and cemetery. If you plan on stay the night you will have to hike/bike through Back Bay refuge. 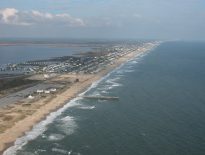 Even though many people choose to vacation in Virginia Beach to spend the day in the sun building sandcastles there are many activities in the area for the more adventurous time. Have you tried one of these activities? I am sure there are many other things to do in the area to get your adrenaline going. Is there a place that you go to every year that we may have missed? Previous Previous post: Cowabunga! : Memory Monday January 23, 2017. Next Next post: Sunrise From the Beach! : Memory Monday January 30, 2017.